The Gigaset C570 cordless telephone provides the perfect symbiosis of design, ergonomics and power for maximum comfort and convenience when telephoning. 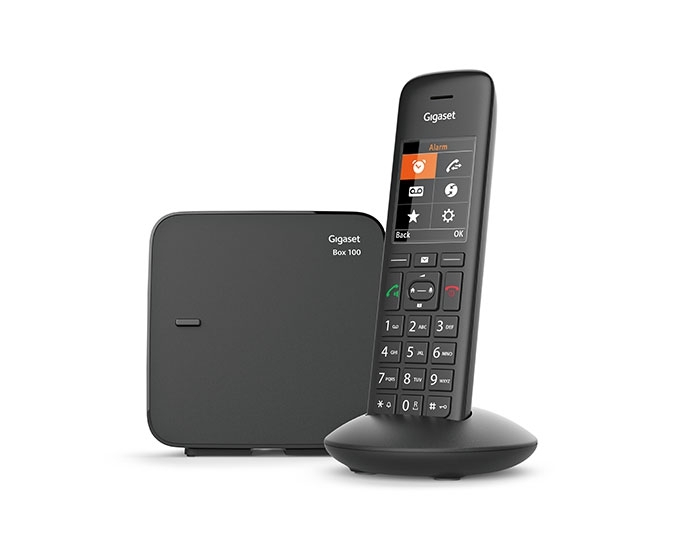 The slim design makes it easy to hold and combines an elegant appearance with modern technology: Smart and compact on the outside and full of practical ideas inside, this reliable family phone is wonderfully user-friendly. 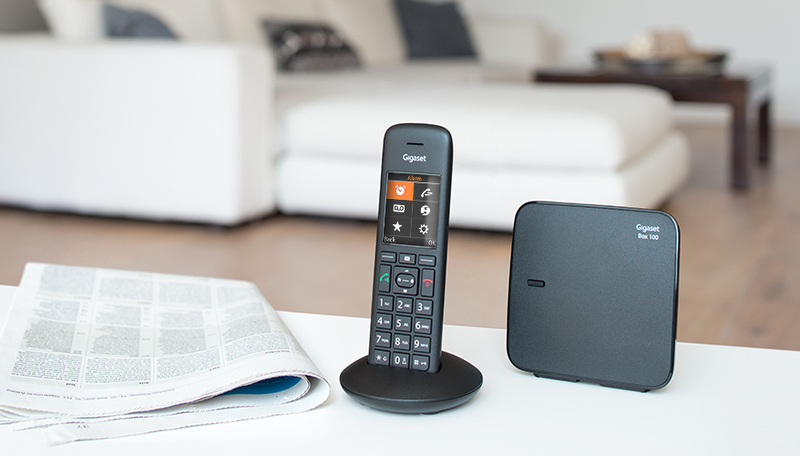 Thanks to the outstanding voice quality and optimum acoustics, making phone calls becomes a pleasure. 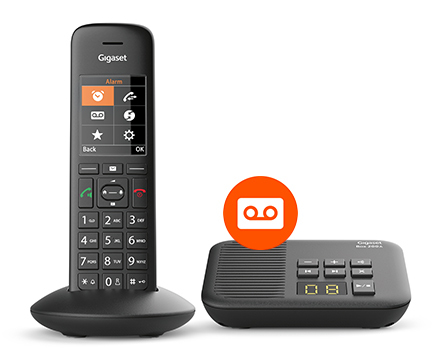 The Gigaset C570A model variant also offers an integrated digital answering machine with up to 30 minutes' recording time. 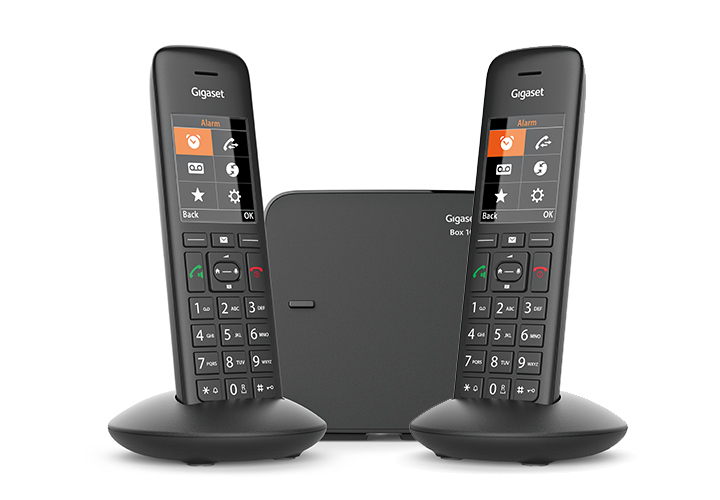 See everything you need at a glance: with the Gigaset C570. 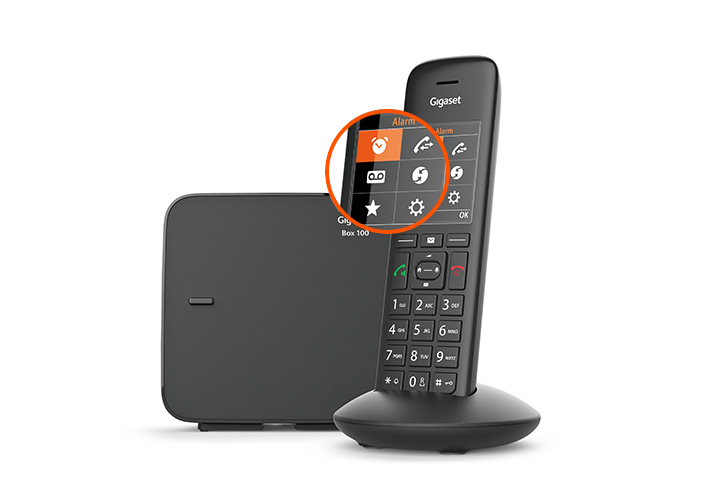 The convenience of the Gigaset C570 telephone starts with its simple navigation. Then there's the clearly contrasting, large TFT colour display offering plenty of useful features: excellent legibility of graphics and letters, six symbols to enter the main menu, plus a Jumbo mode showing all the figures on an extralarge scale. 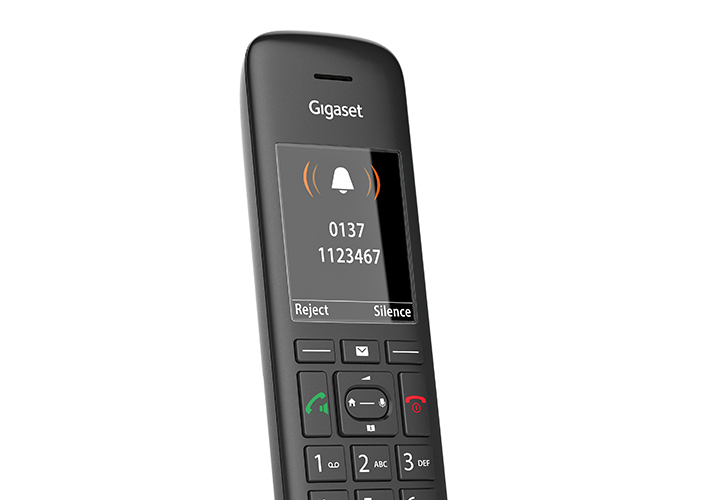 Combined with the widely spaced illuminated keys, the Gigaset C570 reaches new heights of intuitive operation and convenience. All your contacts conveniently on hand. Make managing your contacts as easy as possible: The Gigaset C570's large address book can store up to 200 contacts, with name and first name, plus 3 phone numbers for each one. The programmable speed dial keys will put you in touch with whoever you're calling without having to key in long numbers. Another practical touch: The Birthday Reminder means that you'll never forget your loved ones' special days – and with the VIP tune, you'll recognise particularly important callers just by the ring tone. 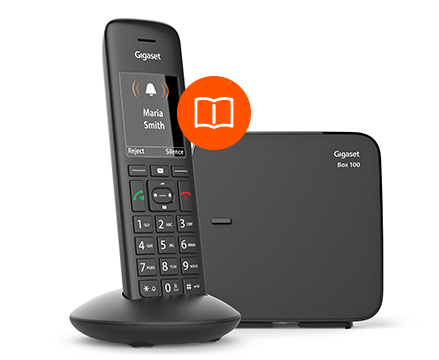 In addition, you can easily exchange address book entries between all your connected Gigaset mobile units. Now you can personalise your telephone easily, just as you want. 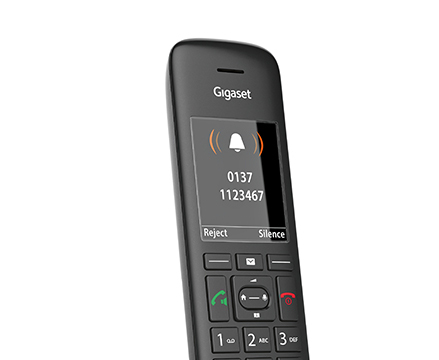 The Gigaset C570 includes a range of personalisation options so that you can adjust the phone to suit your habits and preferences. You can decide between various screen savers and colour schemes for the display texts, or set up special ring tones for all the callers who are important to you. And another useful feature: Choose between 2 acoustic profiles, to give the right frequency range for your optimum hearing experience. 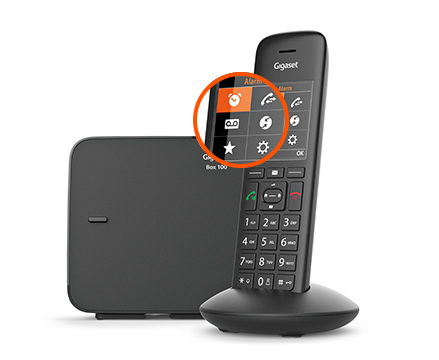 Quieter and more private, thanks to the ingenious call protect function. The "Block anonymous calls" function ensures peace and quiet at home: it means that calls without a caller ID are only visually displayed or can be blocked completely – without disturbing you. In addition, you can simply put your phone on silent for times chosen by you. In this way, you can be protected against unwanted calls whenever you like. Contacts from your address book that are marked as VIPs, on the other hand, can be viewed and heard at any time. 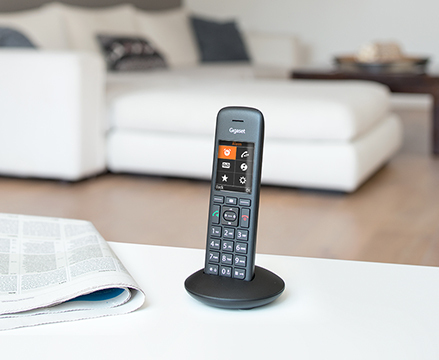 Gigaset C570: always there when you need it. You can locate the mobile unit plus charging cradle wherever you like, while the separate base is placed at the line connection. 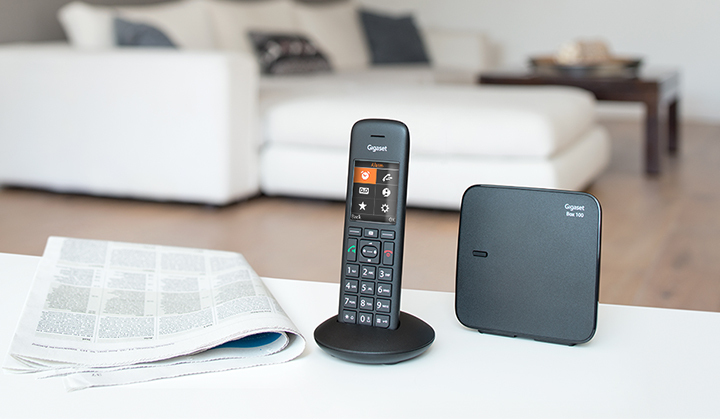 Whether it's in the living room, hallway, study or kitchen: You can take any call directly without having to run around the whole house. For even greater convenience, you can add up to five more mobile units to the system. 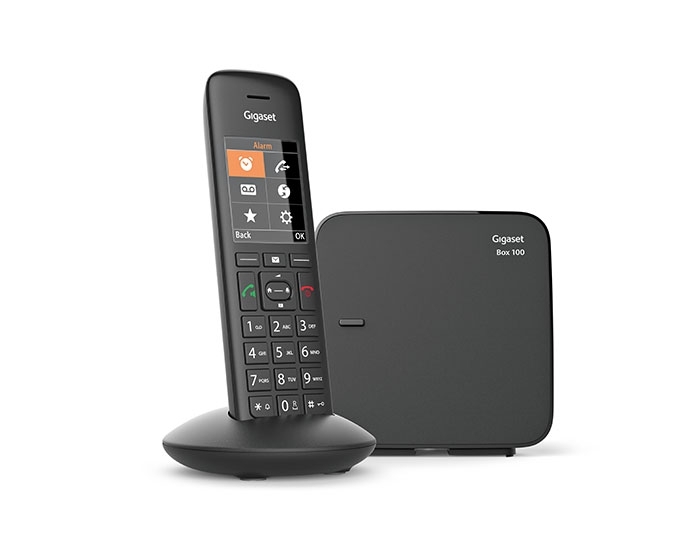 For this, we recommend the Gigaset C570HX mobile unit. 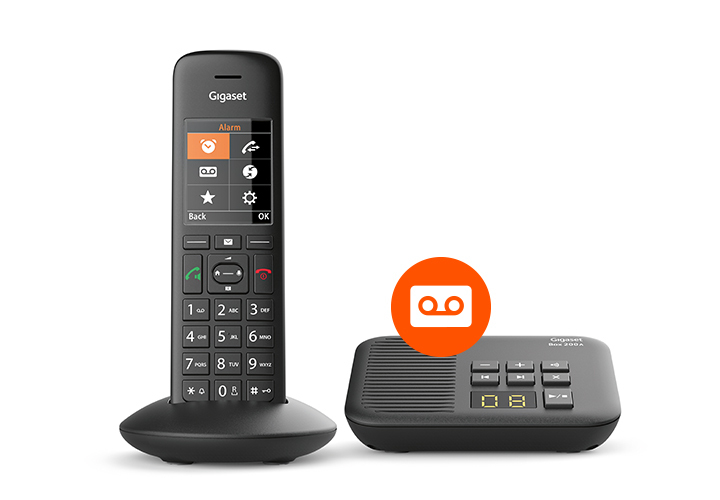 You'll find all the telephones compatible with the C570/C570A here. 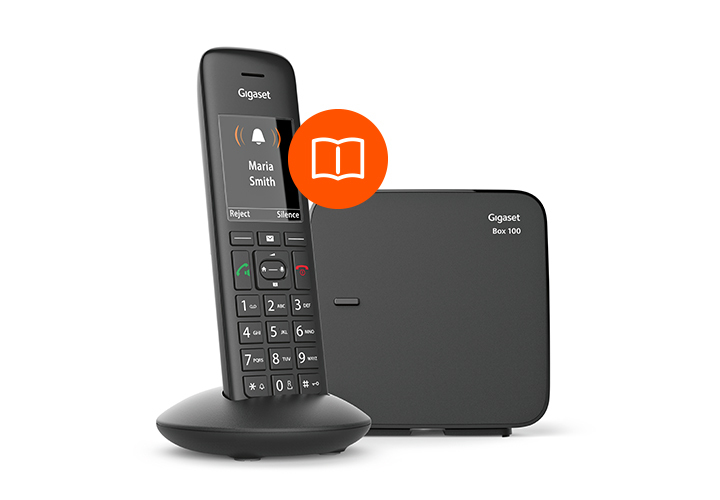 Never miss anything again: the Gigaset C570A with answering machine. 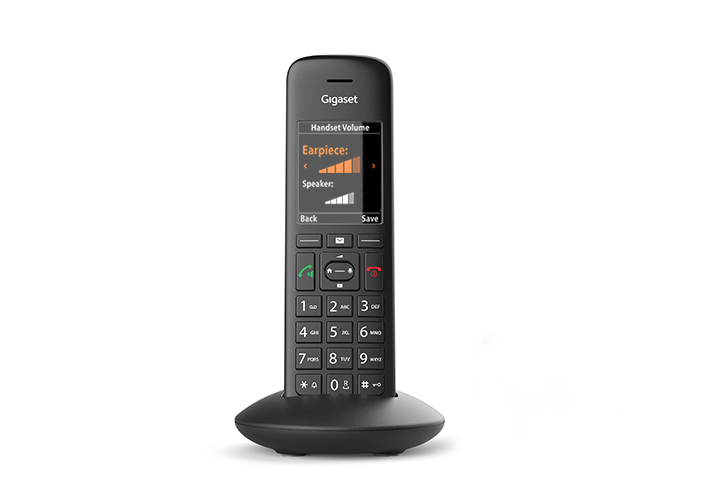 The Gigaset C570A Comfort Telephone comes with a digital answering machine with up to 30 minutes' recording time. 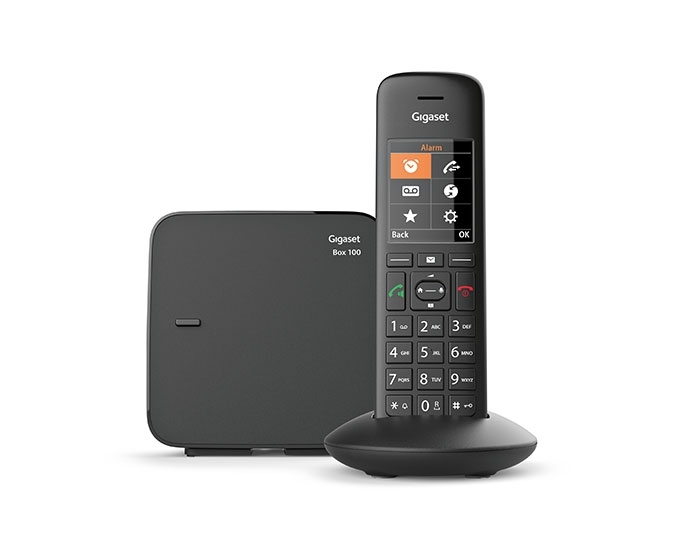 It allows you to listen to all received calls on the mobile unit and the base station easily whenever you want – even if you're not at home, thanks to the remote access function. Operation using the mobile unit and base station is really simple. Individual message texts lasting up to 170 seconds can be recorded and an extra emergency battery saves all your recordings in the event of a power failure. Twice as convenient – with two mobile units. If several people live in one household, a second mobile unit is particularly practical. It also means that you always have a telephone nearby. 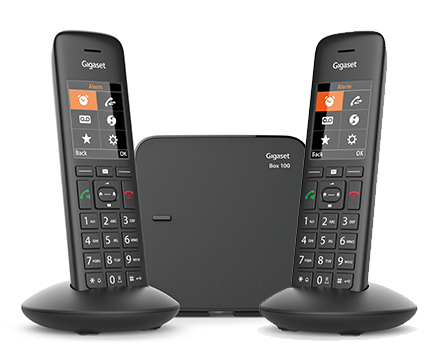 It's really easy, because the Gigaset C570 and C570A are also available as a Duo with an additional mobile unit. 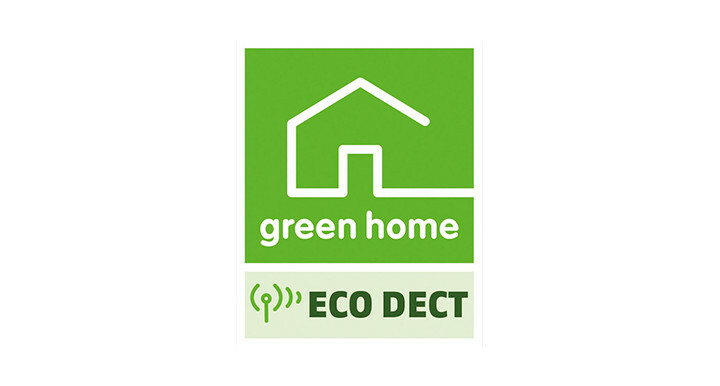 ECO DECT for radiation-free calling. 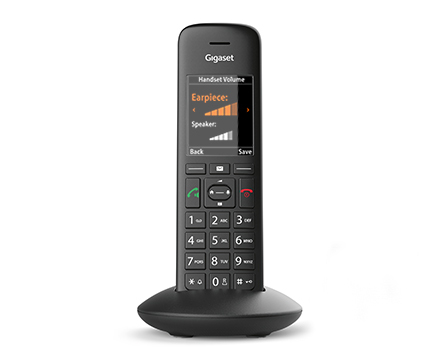 Like all the Gigaset cordless telephones, the C570 is also fitted with environmentally friendly ECO DECT technology. 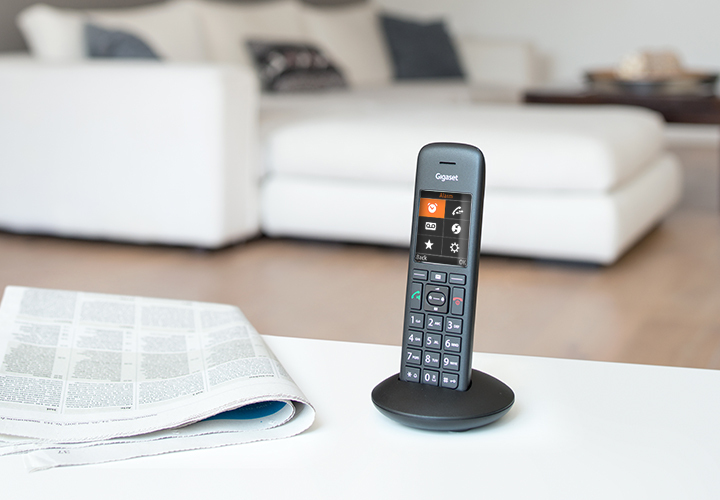 The telephones are radiation-free in standby mode, even if more than one mobile unit is being used, as long as the base and all the registered mobile units support ECO DECT. During a call, the transmission power automatically adapts to the distance between the base and the mobile unit. The shorter the distance from the base, the lower the radiation. 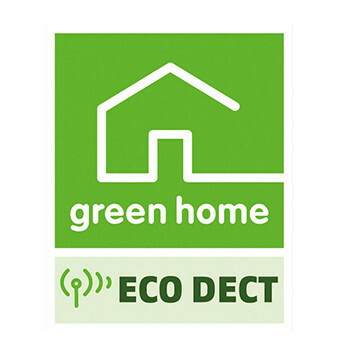 For maximum DECT range, you can deactivate the ECO DECT mode at any time.